Pest Control and Termite Inspection solutions for schools, universities, training and education facilities. Educational facilities can present a wide range of pest control issues. Settings can include classrooms, amenities and facilities, student housing, food service and an array of public spaces. Rocket Pest and Termite has worked with numerous educational institutions and has developed plans to ensure that pests are under control at all times in any educational setting. 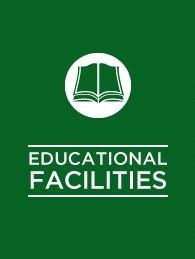 environment for employees and students. There will be no disturbance to your employees or students, from us or from pests.